The Flux Wrist Guard is inspired by the active lifestyles of snowboarders. Through the design of situationally rigid splints the guard allows riders extended ranges of motion for aerial maneuvers, while still providing crucial protection during falls. 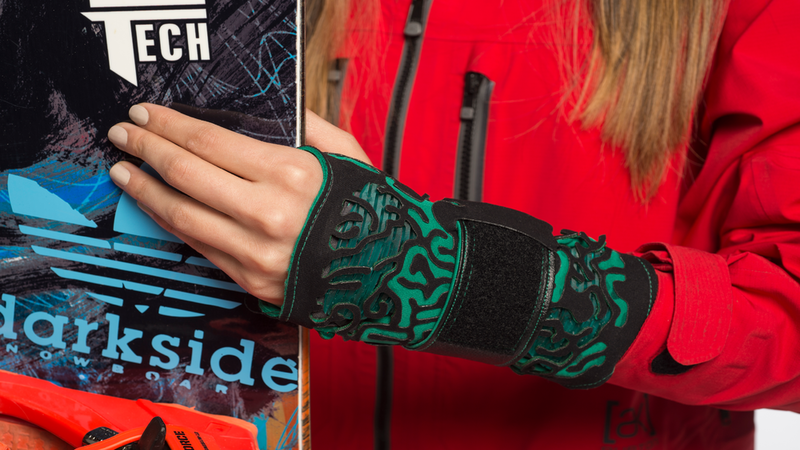 The Flux’s bold styling seeks to reinvent the way snowboarders view wrist protection by treating it as a fashion statement and not just a protective garment. Based on research insights I decided to explore the concept of "situational rigidity." I felt that this would solve discomfort caused by rigid splint designs. Situational rigidity was explored through the combination of kerfing and foam patterning. The colorful and graphic patterns explored within my sketches aim at promoting confidence and appealing to snowboard youth. Prototyping the wrist guard was done using a combination of soft goods patterning and 3D printing. 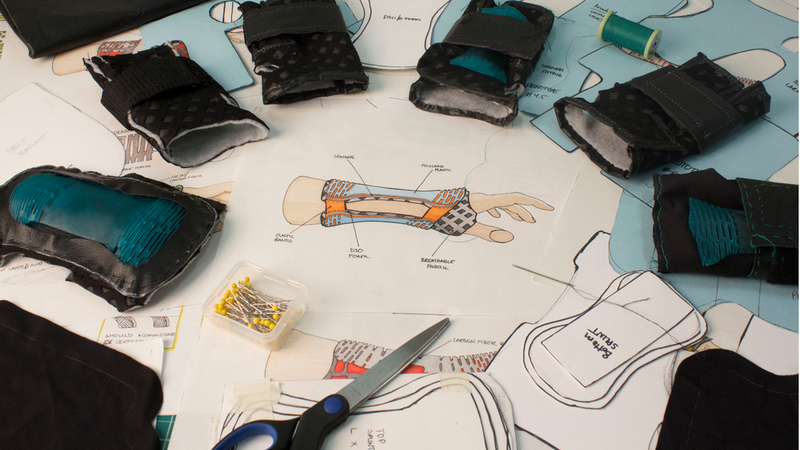 After much exploration the final concept wrist guard was created with "situational rigidity" as its main feature. This concept would allow the wrist guard to become rigid during impact, but remain flexible outside of impact scenarios leading to higher levels of comfort and mobility.